Honda may be working on an inline six-cylinder motor to be introduced on a neo-retro cafe racer, to be possibly called the Honda CBX 1200. 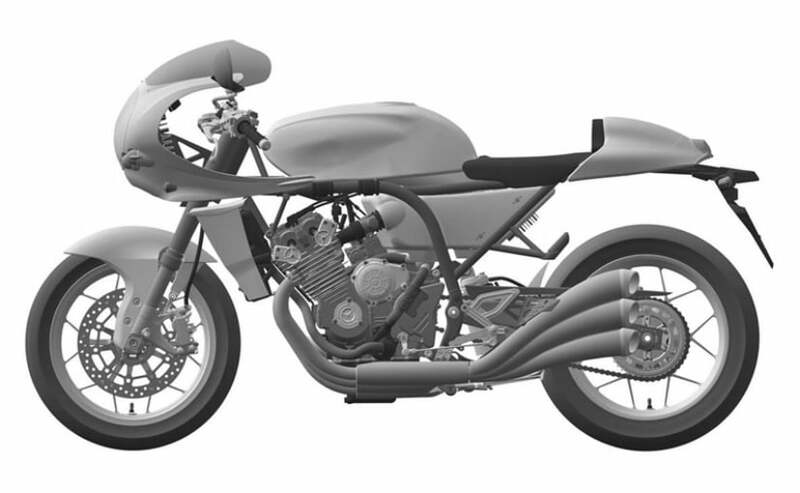 Latest patent images filed by Honda reveal just that - a classic looking cafe racer with a big six-cylinder engine. Judging by the design of the bike in the patent images, the upcoming model, as and when it's introduced, will be a funky looking neo-retro cafe racer motorcycle. And going by Honda's latest Neo Sports Cafe line of models, it could well be another addition to that same family, although all this is conjecture at this point of time. Some reports also indicate that the new model may be called the Honda CBX 1200, and will be a sort of homage to the original Honda CBX 1000 model. A patent filing isn't always indicative of a full-fledged production model, but looking at where Honda has reached with its Nero Sports Café concept to production form, we wouldn't be surprised if this makes it to production sooner than later. More than the funky design though, what is more important is the drivetrain. The patent images reveal a six-cylinder engine, in an in-line format, and liquid-cooled; not unlike Honda's in-line six-cylinder engines from the late 1970s and early '80s, just like the Honda CBX 1000, which was in production from 1978 till 1982. There's no word on the displacement of the engine, but some reports suggest that it will be a 1200 cc, in-line six-cylinder engine with the exhaust split into three on each side. Honda already has a six-cylinder engine motorcycle in its line-up, in the Honda Gold Wing, but unlike the flat six configuration of the 1800 cc Gold Wing, the new cafe racer concept will not have the same configuration, as seen in the images. Now, Honda has had a track record of introducing some sort of concept model within a few months of filing a patent, so we can hope to see some concept form of the CBX 1200 cafe racer, possibly at one of the motorcycle shows later in the year.